Holiday shopping is seen by some as an enjoyable way to get into the seasonal spirit. Others view it as more of a stressful chore. But in both cases, it should be safe. Unfortunately, our Fort Myers injury attorneys have seen too many cases of holiday shoppers suffering some type of injury due to a failure by property owners, managers or employees to keep the site free of unreasonable hazards. These incidents can result in serious – and sometimes disabling – injuries to shoppers. Yes, customers do have a responsibility to be on the lookout for obvious dangers and to avoid them using reasonable care. But as part of a legal classification of visitors known as “business invitees,” shoppers are owed the highest duty of care under the law. That means property owners must not only avoid creating hazards and address them when they become known, but also to regularly inspect the site for them. In the recent case of Piotrowski v. Mendard, the U.S. Court of Appeals for the Seventh Circuit weighed the injury lawsuit filed by a woman who suffered serious injury when she tripped over a couple of stones that were in the parking lot area of a home improvement store. She fell hard on the concrete, suffering a fracture, torn ligaments dislocation of her right elbow. As a result of the fall, she had to undergo a total of five hospitalizations and three surgeries – and that was just in the 12 months following the trip-and-fall injury. According to court records, plaintiff had stepped on one or two small walks that she had not seen before she stepped on them, causing her fall. The rocks were described as oval-shaped and larger than marbles. They were similar (and plaintiff opines, the same) as the rocks that filled a nearby concrete planter in front of the store. 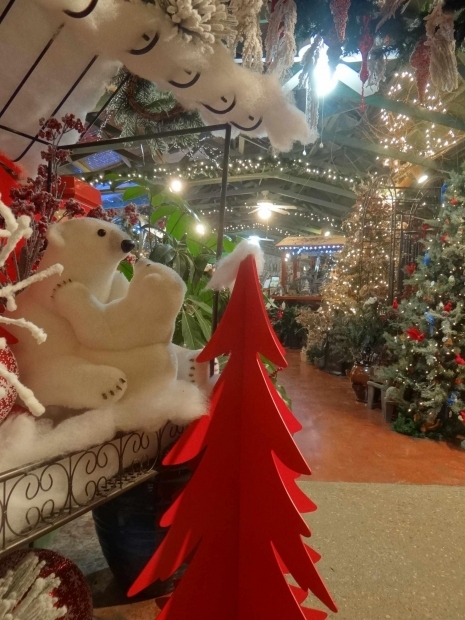 The store manager noted that the decorative “river rocks” that surrounded a small tree and bush in the center would occasionally become depleted, and more would need to be added. Of course, rocks don’t migrate themselves and it stands to reason that the rocks were in some way regularly being moved/ kicked/ thrown/ dragged away from the planter area. The question was whether the store was responsible. The manager did note that he had seen children playing in the planter on occasion, and that the store also sells this type of rock in 50-pound bags. After the injury lawsuit was filed, manager testified during a deposition that he and store employees every day walked every inch of the property, including the parking lot, looking for and documenting hazards. These rocks had not been a noted problem, either that day or in the past. Here, the trial court decided – and the Seventh Circuit agreed – plaintiff did not have enough evidence to prevail on her claim. She either would have had to prove the store created the dangerous condition or else it had actual or constructive notice and failed to address it or give warning. Plaintiff argued that the store created and maintained a permanent and dangerous condition with this planter. Plaintiff also argued the manager knew the rocks were leaving the planter because he kept needing to refill it, which creates a reasonable inference that the rock was escaping onto the pavement where customers walked. However, the court ruled plaintiff failed to present evidence that the store manager or employees had constructive knowledge. She herself didn’t see the rocks until she fell. She had no indication of how long they had been there (which is an important element in proving constructive notice). The courts also noted there were no other incidents at the store involving rocks in the parking lot. There were no prior complaints and there was proof the manager and employees checked the parking lot regularly for unsafe conditions. Plaintiff was unable to show a pattern of dangerous conditions or a recurring incident that was not attended to in a reasonable amount of time. Slip-and-fall premises liability lawsuits can be more complicated than they might initially seem. In Florida, F.S. 768.0755 outlines the legal guidelines for success in a slip-and-fall lawsuit. This is why it’s imperative to have an experienced injury lawyer on your side.